It's hard to believe but of all the big adventure outfitters based in the US, UK and Canada - and there's plenty of them - only one travel company has included the Philippines in its list of destinations. In the various websites I surfed, even the companies I've traveled with like GAP Adventures and Intrepid, there's nothing at all about "packaged" adventure tours to the Philippines (while Thailand and Vietnam has a dizzying number!). Imaginative Traveller, another company I've previously booked a trip with, advertised a 3-week Philippine escapade only last year but the last time I checked it, it's gone. 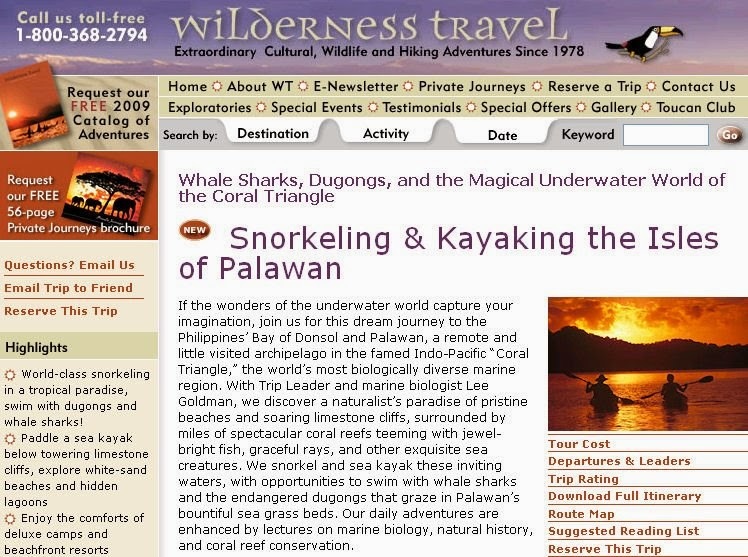 So it's such a pleasant surprise to find Wilderness Travel, a rather upscale company based in California, squeezing a 13-day itinerary in the Philippines that includes Donsol and Palawan. 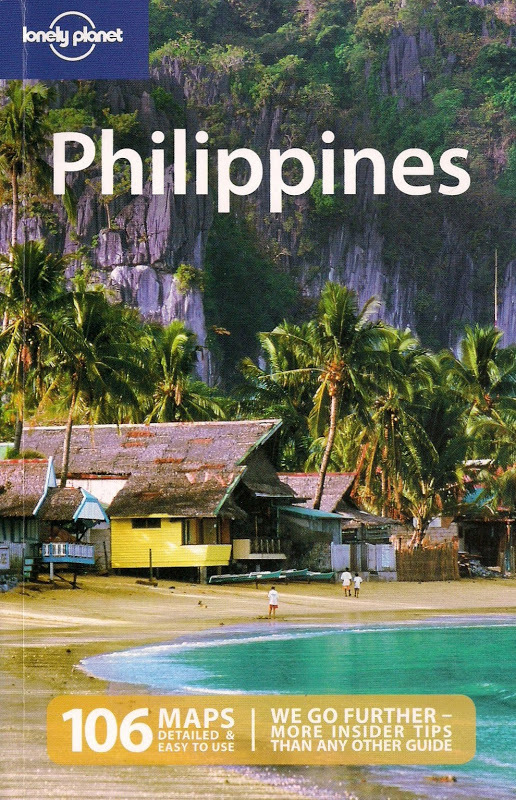 I received their glossy 2009 brochure which showed a nice little spread of enticing El Nido photos. What's not so enticing is the price: from $4495 per person. This is of course from a company that excels in its quality of service, making it one of National Geographic magazine's 2009 Best Adventure Travel Companies in the Do-It-All category. I'm always glad whenever I see foreign travel companies promoting the Philippines. But then, we also need to do our part. Last year, I was ecstatic when the Philippine Department of Tourism, joined New York's two big travel powwows: Adventure Expo In Travel and The New York Times Travel Show. And of course, there's nothing like the millions of overseas Filipinos doing the job itself- advertising the country to foreign friends and colleagues. As an adventure destination, I believe the Philippines is as competitive as her neighbors. There's plenty of things to do and sights to see. It's about time she shines again in the Far East. I guess the best approach is to look for Phil-based adventure tour operators. I actually developed a website for such a company, Tribal Adventures (www.tribaladventures.com). They are on Google's 1st page with keywords: "adventure travel philippines". Service is first rate and prices are reasonable. I even joined them on an adventure tour in Coron, Palawan - sea kayaking, snorkeling, motor biking, etc. But I agree with you. The Philippines has a lot more to offer as an adventure destination. I wanted to highlight the dearth of well-known adventure foreign tour operators that offer the Philippines as a destination but you're right, it's better to go local - it actually helps the economy as well.